Before Wednesday, subsidised LPG cost Rs 491.13 per 14.2 kg cylinder in Delhi, Rs 493.83 in Kolkata, Rs 493.8 in Mumbai and Rs 479.11 in Chennai. Subsidised LPG or cooking gas prices were on Wednesday hiked by Rs 4.6 per cylinder. Effective November 1, 2017, a subsidised LPG cylinder of 14.2 kilograms costs Rs 495.69 in Delhi, Rs 498.43 in Kolkata, Rs 498.38 in Mumbai and Rs 483.69 in Chennai, according to the Indian Oil website - iocl.com. Non-subsidised LPG cylinders of the same size will cost Rs 93-94 more in the major cities from November 1, compared with previous prices. Non-subsidised LPG cylinders will cost Rs 742 per unit in Delhi, Rs 759.5 in Kolkata, Rs 718.5 in Mumbai and Rs 750 in Chennai, Indian Oil - the country's largest fuel retailer - further said. Besides this, jet fuel or ATF price was increased by 2 per cent on firming international rates, the fourth straight increase in rates since August, according to a price notification posted by state-owned retailers. LPG prices across the country were last revised on October 1, 2017. Before Wednesday, subsidised LPG cost Rs 491.13 per 14.2 kg cylinder in Delhi, Rs 493.83 in Kolkata, Rs 493.8 in Mumbai and Rs 479.11 in Chennai. Non-subsidised cylinders were sold at Rs 649, Rs 665.5, Rs 625 and Rs 656.5 respectively, according to IOC. Oil marketing companies have been increasing the price of LPG in line with rising global oil rates. 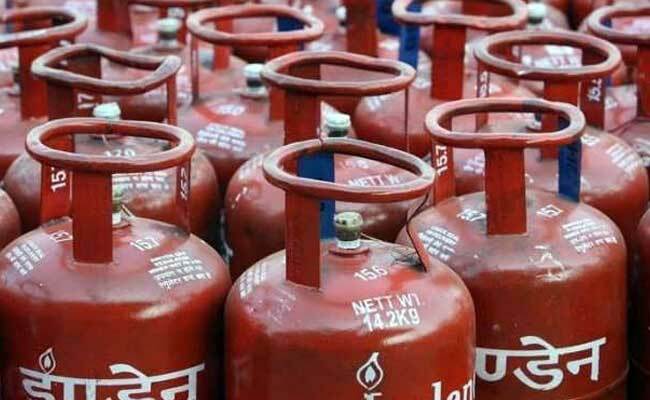 The government earlier this year directed state-run oil companies to increase subsidised cooking gas (LPG) prices by Rs 4 per cylinder every month to eliminate all the subsidies by March next year. Every household is entitled to 12 cylinders of 14.2-kg each at subsidised rates in a year. Any requirement beyond that is to be purchased at market price. There are as many as 18.11 crore customers of subsidized LPG in the country. These include 2.5 crore poor women who were given free connections during the last one year under the Pradhan Mantri Ujjwala Yojana. There are another 2.66 crore users of non-subsidised cooking gas.